I can’t believe the difference you’ve made to my tubs! You want your bathroom upgraded and updated, but you are hesitant because of the price involved. A new bathtub, new tiles, new appliances, and new counters can run you a small fortune. You are aware, though, that updated bathrooms make your home and increase the value. By updating your bathroom, you improve functionality and aesthetics while also improving marketability and value should you ever want to put your home on the market. The process works well and is much more affordable than a traditional remodel and doesn’t cost you as much as a full remodel. Aventura is a planned suburban city in northeastern Miami-Dade County. The city’s name is derived from the Spanish word for adventure. The city is 18 miles north of Miami. The population for the city was 35,762 as of 2010. The development of the city began in the early 1970s in an area initially known as Turnberry. It was incorporated as a city in 1995. 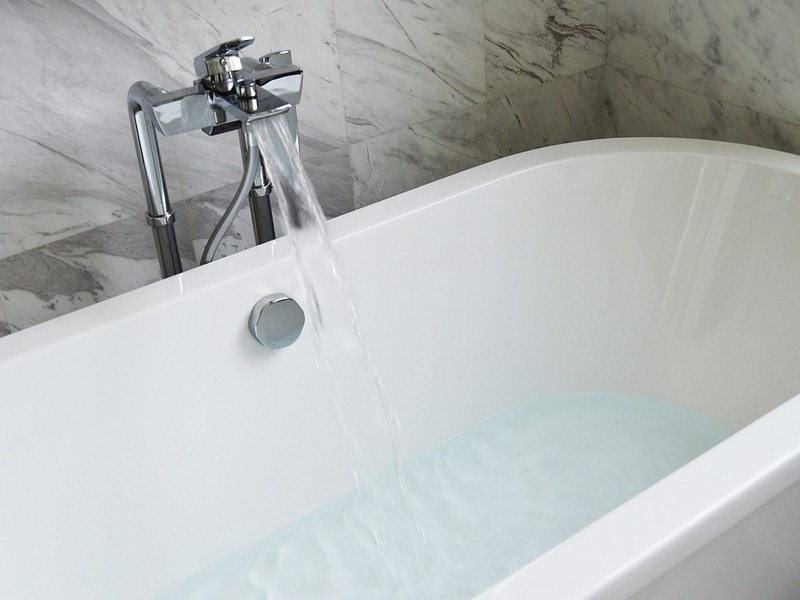 Over time, your bathtub can suffer stains or get damaged with chips or grooves in the surface. Or, your bathtub may be a color that you don’t like or that makes your bathroom look outdated. 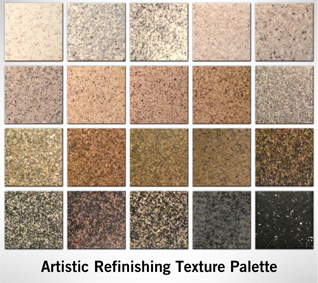 Our texture palette offers 20 solutions that will allow you to choose the right color for your project. You can turn an old pastel midcentury bathtub into a modern looking tub featuring a neutral color. You can turn an old green tub white or take a white tub and change it to a light tan color. We will take the time to discuss your project needs and go over your options. We want you to be completely satisfied with the finished project. With an A+ Better Business Bureau rating and 5-star reviews from hundreds of happy customers throughout the Miami-Dade County area, it is obvious that we put our 30 years of experience to work for our customers. We do more than bathtub refinishing, we also refinish countertops and tile. Your bathroom will look as good as new – or even better than new! Affordability is important when it comes to undertaking a project to make your home look its best. A new bathtub and counters can cost thousands of dollars. Bathtub liners are expensive alternatives. Artistic Refinishing will go a step above and beyond to make sure your Aventura bathtub reglazing project is completed to specification. Reglazed bathtubs look as good as new. They are attractive, durable and functional. We can make your bathroom look as good as it would with a full remodel. With more than 30 years of experience in the industry and an A+ rating with the Better Business Bureau, it is obvious that we take our job seriously. To learn more about Aventura bathtub resurfacing, call and talk to one of our knowledgeable team members. We will gladly provide a free quote for taking care of your bathroom project. Contact Us Today or Call 800-995-5595 For a Free Estimate!